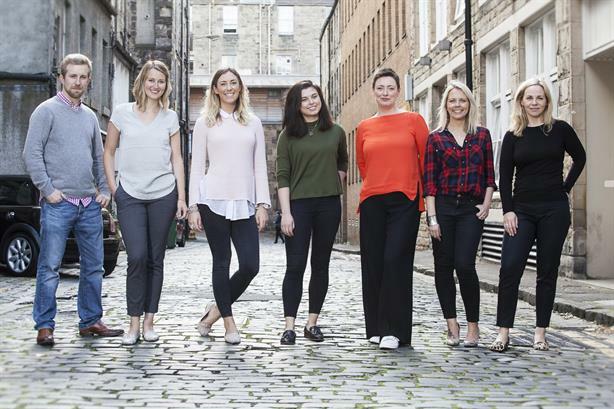 Scottish PR firm Clark Communications has acquired the Scottish arm of PR, marketing and advertising agency Golley Slater, with the teams set to merge. Clark Communications, which was set up in 2012 by former Weber Shandwick vice-president – international Lesley Brydon and employs two people, has acquired Golley Slater Scotland. The latter has a five-strong team operating from offices in Glasgow and Edinburgh, and the newly merged operation is to maintain offices in both cities, operating as Clark Communications. Angela Hughes, formerly an account director with Golley Slater Scotland, become associate director at Clark Communications, leading the Glasgow office. Christina Kelly, former MD of Golley Slater Scotland, is to leave the business following a handover period. The agency said the new entity will offer "a range of public relations and media relations, crisis and issues management, strategic and internal communications, digital and social, design and advertising services". "An alliance with Golley Slater Group will allow its UK clients to retain access to services in Scotland, and Clark Communications’ clients to connect with regional services and specialist disciplines across the UK and internationally," the agency added. Clark Communications’ clients include the Institute of Directors and business advisers and accountants Scott-Moncrieff, which also advised on the financial aspects of the deal alongside MacDonald Henderson Solicitors. Golley Slater Scotland’s client roster includes Paterson Arran and the People’s Postcode Lottery, as well as a number of public sector bodies. The agency was established in Scotland in 2005 and is part of the Golley Slater Group, which operates from five other offices in England and Wales. Brydon said: "By merging two agencies with slightly different offerings, we benefit not only from scale, but also depth of experience. "As the boundaries between the different creative disciplines continue to blur, the diverse mix of talent we have created will serve our combined clients as their needs develop and it will boost our engagement with their audiences." David Longden, CEO of Golley Slater Group, said: "Following the news of Christina Kelly’s departure, we considered a number of options in relation to the future of our Scottish business. We were inspired by Clark Communications’ ambition and vision and felt that Lesley was the right person to take the business in a new direction." Golley Slater Group is listed 92nd in PRWeek’s most recent UK Top 150 Consultancies report, with revenue of £2.4m in 2015.